Students in K-12 schools require a safe and healthy environment that provides a place to grow, learn and thrive. Unfortunately, many of the nation’s schools are rated in fair or poor condition. In order to optimize student outcomes, school administrators must look beyond faculty and curriculum and consider the impact of the built environment on student success. 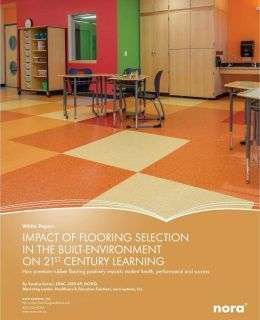 This whitepaper outlines the concept of the “third teacher” and how it influences student outcomes, while addressing how flooring specification can affect a student’s wellness and ability to learn.